Mac Disk Defrag Tool: Is It Possible For Mac? Defragmentation and disk optimization in Mac OS X is still a continuing debate among the Mac users. Even Apple states that their Mac won’t need to defrag their Mac OS X however offer instructions on how to defrag Mac just in case users might need it. If your looking for Mac disk defrag tool that is right for the Mac, you can easily select from the wide variety of defragging tools that will optimize and boost the system’s performance in the process. There are two main scenarios why fragmentation occurs and this can be due to large files that are created more often and the disk space is already low in memory. If this happens there are some simple remedies that you can do about it. For large files that are filling up the hard drive it is necessary to create a backup copy of all these important files. Then re-install the Mac operating system and then restore back all your old files. This can be tedious at all but quite effective too. Other options include running a utility such as SuperDuper that will create a clone of the startup drive and then format the drive with the use of Disk Utility and retrieve back the files in the system. But other remedies that you can do is defragment Mac hard drive and before you go on defragging your Mac you need to understand first the difference between disk defragmentation and disk optimization. Fragmentation is a process where different parts of files are split and stored into multiple locations in the hard drive. The hard drive on the other hand has to look for different locations when accessing these files thus taking the access time quite longer. But with Mac OS X’s HFS+ files system, it safeguards the files from getting fragmented. The file system will prevent using the recently freed space from files that have been deleted whenever possible and look for other greater space in the hard disk that free and available. And one more thing, Mac OS X will group together these smaller portions of space into larger portions automatically with the process known as Hot-File-Adaptive-Clustering. These simple routines in Mac already perform defragging process in a way. On the other hand disk optimization is a different process from defragmentation with a different end as well. Defragmentation gathers all the files into one location in the hard disk whereas optimization deals with organization of all related files into one location for accessing it altogether easily for improved system performance. But when a tool known as iDefrag that is already a disk optimization and defragmenter at once, then it is now easily to arrange all files together and store in into one location for increased performance. The said application also shows the amount of fragmented files in the system and help you decide what to do about it. It even uses different defragging algorithms for quicker and effective defragging process. Although some Mac users are still reluctant to defrag their Mac, there is no really harm in doing it. Because over time you cannot prevent the hard disk from getting fragmented and it is important to choose the right Mac disk defrag software that is capable of optimizing and defragging the Mac system at once and iDefrag can offer it to you all in all. Defragment Mac OS: Do You Need To? For Mac users worrying their fragmented disk is no sweat because the system itself is built with routine maintenance that is capable of defragging the hard drive automatically. However, running some third party defragging software to defragment Mac OS can help most of the time to speed up its speed and boost its performance. Disk optimization is a process where files that are stored in different locations in a volume are streamlined. All the files as well as metadata are rearranged and reorganized to increase the data time access while minimizing the hard drive head from moving. On the other hand, fragmentation happens when files are altered and stored in the volumes over time as it gets filled with other files, the different parts of the files are stored in different locations. When files that are fragmented are put altogether then this is a process known as defragmentation. But be aware that failure may happen during the defragmentation process sp it is important to have a backup copy of all your important files in case you might want it for future use. Is there a need for Defragmentation? Newer hard disk capacity of Mac today are greater compared before. With more free space available for all your files, there is lesser chance of the file system to get fragmented at all. With Mac OS Extended formatting which is the HFS Plus, this prevents reusing some space from files that have been deleted in order to avoid filling smaller spaces that are freed up from recent files that has been deleted. The Mac also included the delaying of allocation for Mac OS X Extended formatted volumes. This allows the smaller space to group together into single large space in one area in the hard disk. Fragmented files often happen when files are altered to existing files. But with newer Mac hard drives that have better caching and faster fragmentation rarely happens. It even supports the Hot File Adaptive Clustering and Mac OS X can even automatically defragment files. With Mac’s new hard drive that have aggressive read ahead and write behind caching capabilities, fragmentation has less effect on the hard drive as well as impact to the Mac system performance. However, it won’t hurt your Mac system at if you choose to defrag the hard drive. You can choose from a wide variety of defragging software that is available in the market. Some of it comes as a freeware as well. 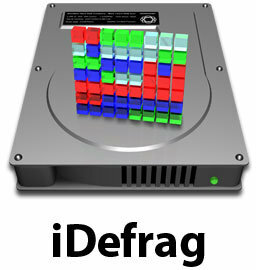 When it comes to defragging software one of the recommended tool for Mac is the iDefrag. But prior to defragging process it is important to backup all the needed files from the hard drive because sometimes software may fails and defragging process can take longer. It is important also to choose an idle time when Mac system is not in use if you wish to defrag Mac hard drive. If your in doubt if you need to defragment Mac OS, go ahead anyway because there is no harm in doing it. As long as you choose the right defragging tool and backup all your important files before proceeding with the process. Repair Disk Permission and you can do this by navigating to Applications then select Utilities>Disk Utility. Choose the Mac HD and then verify the Disk Permissions. You can also repair the Disk Permissions if you can. Clear out the startup log in items. If you have unwanted programs in the startup menu then you can remove them by navigating to System Preferences> Accounts>Login Items. Remove also unwanted application in your Mac. You can do this by going through the list of applications in the Application folder and removing this. You can save also some disk space by doing it. Clear out also unwanted System Preferences. Go and check your system preferences if there are unnecessary system preferences tabs that you no longer used. You can disable by going to Library>Preference Panes. Clearing out the desktop also can speed up the Mac OS X. So better junk files and folders that you no longer need. Emptying the Trash is another way to save some disk space so does it once in a while. Turn off the Universal Access by navigating to System preferences>Universal Access and disable it if you are not using it. Turn off also the Bluetooth features if you are not using them just go and click disable System Preferences> Bluetooth. Might as well turn off the Speech recognition and Internet Sharing options to by going to System Preferences> Sharing Internet or Speech Recognition and disable it. 10. Keep an eye also of you have plenty of disk space in the boot drive. Keep it free for other activity because Mac uses it as a virtual memory space and clearing out at least 10% of the disk space can help it anyway. 11. Remove unwanted Language and Translation packs in the system. There are hundreds of languages that you won’t need at all and this can take up the disk space and by removing it out you can have extra disk space for your Mac. 12. Watch out for the Activity Monitor. It will tell you the CPU usage as well as the virtual memory usage and CPU requirements. Delete some applications that you no longer use too. 13. There are some unnecessary applications and widgets in your Mac and removing and uninstalling it can speed up the Mac too. 14. Clean Mac hard drive by defragging the files to reorganize and rearranged it. This is one of the easiest ways to optimize and speed up the Mac system. Doing this more often can really speed up OS X. This can even save you a lot rather than buying hardware and software items in order to boost the Mac. This is important to keep your Mac running efficiently and faster as well. Mac users know that they don’t have to worry about defragging a Mac hard drive. This is because the Mac system itself is built in with routine maintenance capable of handling fragmented files automatically. But doing a defragmentation process can quite helpful in making the system performance speed up and improve as well. This is where iDefrag third party defragging software comes in. The Mac OS X has its own HFS file system that puts all the files altogether in the hard disks. Even if does not grouped all the files together for quicker access but it offers better space at the start and end of the disks allowing the files to expand easily on its size without the need for undergoing a lot of fragmentation. This is applicable on large disks that has greater space does defragging is not necessary at all. However this does not mean that the HFS file system does nit experience file fragmentation because in the long run this can happen when the disk is getting full of stored files and at the same time is already running out of space. If Mac users are constantly creating and deleting large files, the space between the disks soon adds up and files will end up getting fragmented. This is where the system needs to have defragging too to shrink all these large files and organized it better. When it comes to degragging Mac, one of the leading defragging tools is the iDefrag. It has two parts. This is the general interface and the other defrag interface run during the booting process. If you intend to defrag Mac OS make sure that you are not using the system itself. The general interface of iDefrag is quite simple and easy to use. Once the application is run, select the disk that you want the defragging process to take place. It will show a list of files where it is located and the amount of fragmentation. Then finally click on the final step in defragging the disk. Once done an improved system performance will result from it. The applications have its info pane where are shows the exact file name, including its size, location and other details regarding the files. But be aware that the defragging process can take a long time to run. So it is a protocol also to backup all your important files in case the software will fail during the defragging process. But in the end, you can expect that the application is really good at a decent price offering of $37. The program itself uses different defragging algorithms, support hot file zone, and monitors the hard disk temperature and a lot more. The next time you what to consider defragging Mac hard drive, it is just right to do it anyway because this can be beneficial for the Mac system itself. When it comes to selecting a defragging tool, one of the name catching up on the list is the iDefrag that is capable of defragging and optimizing the Mac system. If you are frequently using you Mac over time you will notice that the Mac system slows down. This is quite true if your one of the Mac users that constantly run security updates replaces operating systems components and creates and deletes large files. Chances are you are increasing files that are fragmented in the hard disk and even degrading the performance of Mac system. One of the solution to these is using Mac defrag freeware that will defrag the hard drive and improve the system performance in the process. Defrag individual files: Allows you to select and defragment individual files without affecting the rest of the hard disk. No need for bootable CD/DVD: All you need to do is click the Go options and iDefrag will reboot automatically the machine into special mode and run the defragging process without the need for separate boot disk. 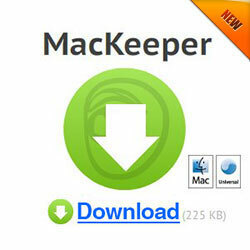 Improved performance: It is packed with performance tweaking routines that speed up the Mac system. Improved user interface: It has easy to use and understand user interface that has reduced cluttered options and improved accessibility for users. Full support the Mac OS X Snow Leopard: It works well with the Mac OS X latest version and even the Apple’s latest hardware specifications. Works with Time Machine: it is even safer to use with the Time Machine back up. Supports the journaled file systems: It supports the journaled file system and knows how to deal with it automatically. You don’t need to turn off the journaling in order to defrag or optimize the hard disk. Supports HFS+: It deals with the case sensitive HFS+ too for compatibility with the UNIX software. Supports Hot Zone: It supports the hot zones and places the files to the right location. 10. Thermal Monitoring: While defragging the hard disk the iDefarg application will monitor also the temperature of your disk. Once it is already warm, the application will have to wait for the disk to cool down before proceeding to defragging process. 11. Uses powerful defragmentation algorithms: You can either choose optimize or compact disk if you want to optimize the Mac system and rearrange the files in the hard disk. 12. Defragment the disk even if it is in use: It can even run simple defragmentation process even if the disk is still in use. 13. AppleScript and Automator Support: It also supports AppleScript and has Automator action without the need to learn about AppleScript while defragging the process. iDefrag is simply one of the recommended Mac defrag freeware that is capable of tweaking the performance of your Mac system, defragging the files in the hard disk and reorganizing everything. All you need to do is wait for the process to take off and you will see an improve performance of the Mac system afterwards. Mac OS X Defrag: Is It Really Necessary? Mac OS X defrag is not necessary all the time because the operating itself has its own built-in journaled files system that already handles defragmentation automatically. But it is still advisable to choose the right third party defragmenting applications that will deal with the files in the hard drive and reorganize it together and improving the system’s performance in the process. File Fragmentation: What Is It? Fragmentation of files happens when it is scattered on different locations on the hard drive. This happens when large files are frequently created, modified and deleted. This is quite true when you create new files and delete the third one. If the new file that has been created is larger than the third file, the Mac OS X file system will store the new file to the space occupied by the third file and the remaining will be stored to other locations. If you want to access this file, the system will have to look at different places thus taking longer time to access this file. Is There a Need To Defrag Mac OS X? For Mac users they don’t need to worry about their hard drive getting defragmented because the system itself does not need to be frequently defragmented because it is already built with routine maintenance that deals with defragging process automatically. Although fragmentation happens in the system but this does not affect the entire performance of the Mac system. But if you still frequently create and delete large files this can really bring significant degradation in the Mac performance. How to Defrag Mac OS X? If you already notice that the Mac system already slowed down its performance it is about time that you use and install third party defragmenting applications for Mac OS X. Although the Apple itself does not recommend any defragmenting tool for their Mac but you can choose from the widely available defragging software in the market and even the Macintosh Products Guide will tell what defragging software to choose for your Mac system. When it comes to defragging the Mac OS X, one of the best and recommended tools is the iDefrag that is quite easy to use and uses five different defragging algorithms. It even supports journaling, case sensitive filenames and HFS+. You can also use its free trial version and you can purchase the application at a price of $37. If you plan to run defragging software in your Mac make sure that you are not using your Mac because it can take several hours to defrag Mac OS X. When defragging Mac hard drive it really requires large amount of data to be reorganized and rearranged. There is a larger risk that you might lose some important data in the process so it is important that you backup all the important files before defragging the hard drive. Once the defragmentation process is done, you will notice that the Mac’s performance has greatly improved and accessing files takes faster time. Mac OS X defrag is quite beneficial in the process because this can tweak the performance of your Mac system and even resolve the issues on fragmented files. You only need to select the right defragging software that will work effectively on your Mac system and make sure that you backup all your important files before you proceed to defragging the Mac system. Defrag Macbook: How to Do It? When large files are created and deleted frequently chances are they become fragmented and even results to slow down of Mac performance. If this happens it’s about time to defrag Macbook and you can do this by either using third party defragging applications or doing it the manual way which is quite risky. The newer versions of Mac operating system has already built in routine techniques that is needed in optimizing the hard disk. It uses the HFS+ (Hierarchical File System Plus) that defrags the hard disk automatically. No matter how frequent you create and open files it has great impact to the file system performance. Once the Macbook slows down its performance then chances are this is already fragmented and even degrade the whole Mac system performance. It is quite recommended to defrag Macbook when the operating system already slowed down. Although the Apple Company doesn’t recommend the necessary applications that will defrag the hard disk but with the wide variety of third party software you can choose which one will deal with defragging process effectively. There are several companies that offers defragmentation applications for Macbook system itself. One of the recommended tools for Mac is the iDefrag. This can be downloaded readily from the developer’s site and is offered at a price value of $35.00. But then you can try its trial version also and see what it can do to your Macbook system. This applications is quite easy to use and even scan the hard disk before determining whether you need to defrag the Mac system or not. Once the iDefrag application is installed in the Mac, it is needed to create the boot disk with the use of CD, then boot from the disk to run the iDefrag applications. Once running it will scan the hard disk and start performing the defragging process. You can choose from the different algorithms offered by the application from Compact, Full, Quick, etc. Once the defragmentation is done, restart the Mac and you will see an improve performance afterwards. Backing up all the important data then installing again the Mac OS X and then install and recover all the files back to the hard disk. But doing this can take a longer process. Back up all the files from the hard disk to external data storage such as USB or hard disk. Then trash the files in the Mac. And then retrieve back the files from external drive back to the Macbook. Once the Macbook is getting slow on its performance this will tell you that the Mac system is already fragmented. It is quite recommended to defrag Macbook and you can either do this manually by backing up all the files in the hard disk and reinstalling the Mac OS X and the other is installing third party applications that perform defragging process. The latter process is quite recommended way to do it. Some Mac users would offer wonder if they need to defrag a Mac’s hard drives. This information will discussed Mac’s hard disk defragmentation and what you can do as Mac users? Fragmentation is a process where files are created and deleted more often. This involves storing files in different locations when that hard disk space is already occupied with other files and it have to locate for other locations where it need to store the files in the hard disks. This greatly reduces the response time of the system to access the entire files because it has to look for different places in the hard disk. For users who are using the Mac platforms they don’t need to worry about the defragmentation issues because the Mac system itself is designed to deal with fragmentation and it is already built with routine maintenance in tweaking the Mac system. This does not either affect the performance of the system thus defragmenting the Mac hard disk is not needed frequently. But in reality, as Mac users are using the system more often and access the hard disk too frequently this can affect the system’s performance in the long run. This is quite true if you create and delete large number of files in the hard disk thus increasing the chances of the disk to get fragmented in the process and can even slow down the file system performance. When this happen, it is quite recommended that you select third party defragmentation applications that will defrag the Mac hard drive. But before you go on installing this defragmenter tool it is important that you back up all your important files. It is wiser also that you use applications such as driver setup that will initialize the disk and restore the files after defragging process takes place. Just keep in mind that reinitializing the hard disk at times will completely erase all the files in the hard disk and making a complete backup is quite recommended in order to restore all the files to its original state. The defragging process can take longer because of the large amount of data that need to be rearranged and reorganized. However there are third party defragging tools that cannot recover the critical portion of the hard disks. Thus to prevent the risk of losing all the important files a complete backup in the system should be done prior to defragging the Mac system. There are a of defragmentation applications that you can select in the market and each of it has its own features and capabilities that are needed for defragging all the files in the hard drive and tweaking the Mac system to a better performance. So the next time you are faced with the issues whether you need to defrag a Mac. The answer is simply yes. Although Mac don’t recommend it but doing it in a way can be advantageous for Mac system. This will increase the access time in locating for files easily and at the same time improving the Mac system performance. If you are using your Mac system more often and you are creating, importing, moving and copying files from time to time, chances are your hard disk may be fragmented. For Mac system this is something that you worry less because the system itself is built with routine maintenance that is run periodically. However for new to Mac system they wonder if how can they deal with fragmentation problem and do they need a defragmenter for Mac? Why Defragment Mac Hard Drive? If you’re one of the Mac users that move files around, delete applications and emptied the trash more often then your hard drive can be very messy internally. Although Mac OS X has already built-in routine maintenance that will automatically defragment the files but this does not mean that the system is optimize. To boost the hard drive speed it is quite helpful and beneficial that you use third party defragmenter tool and optimization tool for your Mac system. Before you go on selecting the right applications that will defragment your hard drive it is necessary that you have a basic understanding how the hard drive performs and why defragging happens. Hard drive is a circular disk and once data is saves in the disk it spins and data are written into it sequentially from the first open space that it can locate. Once the space is not big enough the rest of the data are stored in other locations on the disk. If you happen to install and uninstall application and delete files more often, the hard disk becomes full and files will be stored on different locations on the hard disk. The disk need to spin a lot of times to gather that data and put it back together. The more it spins it degrades its performance thus affecting the whole system performance. Normally when this problem happens, the system’s response time will get slower and it takes longer to organize all the files that are located in different locations. The problem got worst when applications are stored in noncontiguous manner. Once the hard disk is defragmented files are stored in one location thus hard disk spend lesser time in spinning and locating for files thus improve the system’s performance. Using third party defragmenter applications will reorganize the files that are stored in the hard disk. Doing this will improve the response time of Mac hard drive and will resolve the problems on fragmented files. Running a defragmenting tool is simple and before you decide to does it make sure to have a back up copy of all your important files. And when you’re defragging the hard drive choose an appropriate time when the Mac system is idle. Before you decide to defragment your Mac, analyze the hard disk once in awhile to make sure that they are not getting fragmented. You can do this by using third party defragmenter for Mac that will make sure that all your files are organized and Mac performance is greatly enhanced. The Solution to Defrag Your Mac’s Hard Drive? When you’re a Windows platform user you need to pay attention to defragmenting hard drives, installing antivirus applications and firewall applications as well. However if your into Mac system you don’t need to pay attention to all of these. 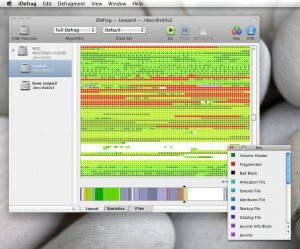 But this does not mean that you don’t need to defrag Mac’s hard drive using iDefrag Mac application. Mac system is already known to be built with maintenance routines that are update more often thus allowing users to have lesser problems on tweaking its performance. 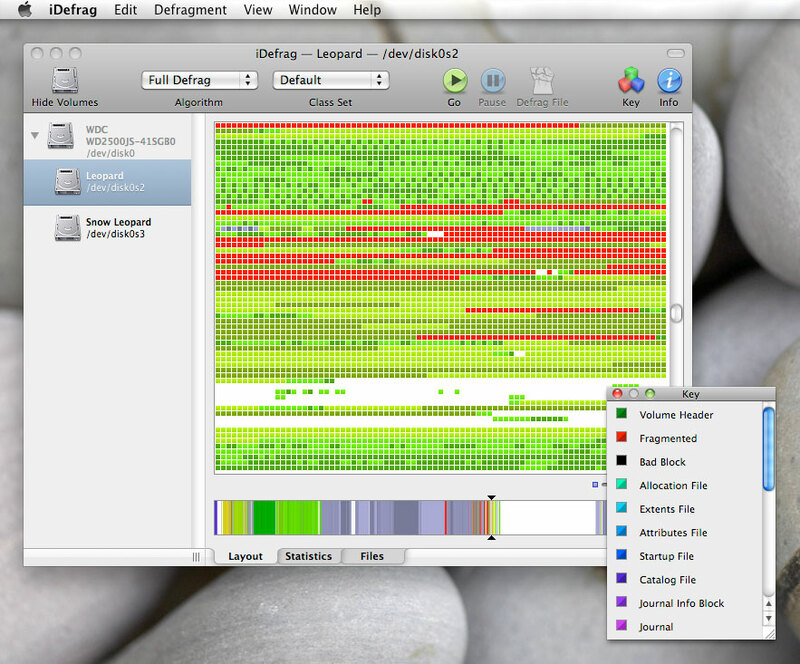 When it comes to defragmenting the Mac system one of the best recommended tool is the iDefrag. Here are some features regarding the applications, go through it and reflect whether you need it or not. Do you need to Defrag Mac System? For Windows users defragging the hard drive is needed in every few months. This can be disappointing at times because even the built-in defragging software took several hours to finish the defragging process. Most new to Mac system might wonder if they need to defrag their Mac and how they can do it. Most people would tell them that it is not really needed at all. However, even the Apply Company itself sees the importance of defragging the Mac system. The iDefrag Mac applications have been around few years back and have been known already fro defragging the Mac hard drive. iDefrag have its trial version and can be readily downloaded from its developer’s site. The trial demo version has a limited features but it can actually offer what it can do to the system. After downloading and installing the applications you will see the available volumes on the left pane. You can’t make any changes to the drives until you enter the Administrator password. Then click the lock icon to authenticate and verify the password. Once done, the application will start scanning the drive and then on the right pane it will show the drive’s content. The visual linear graphic at the bottom panel will tell you if the drive is already in good shape. Once the defragging process took place you will notice that most of the fragmented files are sorted out and the Mac system will be running faster at this time. You need to select the five defragging Algorithms offered by the iDefrag tool from the pull down menu located at the toolbar. You can select Compact, Quick, Optimize or Full Defrag options from the given options. Just remember if you choose to defrag your Mac hard drive be aware that files that are stored in different locations can be moved. And in case if anything goes wrong you need to perform a full back up first with your files. If you wish to defrag your Mac startup volume it is needed that you restart first the computer to complete the Quick algorithm options. The Full Defrag is the common option to do in defragging the system. It is already a combination of Metadata and Optimize algorithms. The Metadata algorithms deal on the volume metadata and the adaptive hot file clustering system while the Optimize algorithm deals in the disk optimization options and rearranges the files on the disk. The iDefrag tool will eventually boot the machine in a special mode while doing the defragging process. Although some people would advice you that you don’t need to defrag the Mac system but doing it might be helpful at all. Running defragmentation process will eventually boost the Mac performance. So when it comes to defragging Mac hard drive you can rely on iDefrag Mac applications.